The German-Chinese Documentary Film Forum, titled "Globalization - Migration – Motherland," will be held at the Department of Culture and Education of the German General Consulate in Shanghai, November 27 to December 13, 2009. Filmmakers from both countries will present 27 documentary films, showing both the beneficial and negative impacts created by globalization and migration. Fifteen directors will share their experiences and opinions with the audience. During six rounds of talks, which will be scattered throughout the three-week event, viewers will get the chance to interact with both social experts and film directors from the two countries. The event aims to present visually-stunning and thought-provoking works, of which some have won international awards. Moreover, it will provide a platform for Chinese and German people to discuss related issues of globalization and migration. The event is sponsored by the Culture and Education Section of the German Consulate General in Shanghai, the German Documentary Association (AG DOK), the International Leipzig Festival for Documentary and Animated Film (DOK Leipzig), Shanghai Media Group, Yunnan Multi-Cultural Visual Festival, and the Chinese Next (CNEX) project. 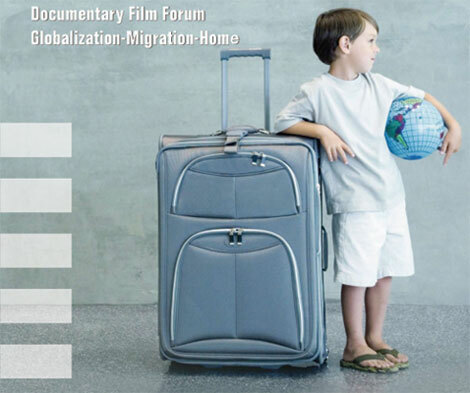 German-Chinese Documentary Film Forum "Globalization - Migration – Motherland"
Venue: Department of Culture and Education of the German General consulate, Cross Tower 102A, 318 Fu Zhou Rd. "Globalization - Migration - Motherland"